Renaissance and Baroque songs from Southern Europe. Spiritual texts and stories stories of unrequited love, ambivalence and desire. Sunday 6 September 2015 16:00 — St. John the Baptist Church in Frýdek, ulice Farní, 738 01 Frýdek-Místek, Czech Republic. Singing has accompanied mankind since time immemorial. The Renaissance and Baroque periods were no exceptions. During this time there originated a large number of songs with accompaniment of a lute, a vihuela or a baroque guitar, or with basso continuo: bass melody lines with numbers that characterize the accompanying chords. The concert with Monika Dopitová and Karel Fleischlinger offers music lovers an insight into a treasury of early music, the way the Renaissance and Baroque song was written and enjoyed with accompaniment of the instruments that were common at that time. In addition to famous composers (Giulio Caccini, Claudio Monteverdi) you will hear songs and works of lesser-known authors (Alonso Mudarra, Pisador Diego José Marín, Bellerofonte Castaldi), whose music is just as beautiful and alive. 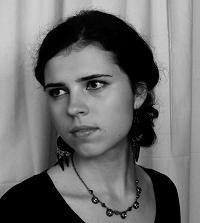 Monika Dopitová graduated from Opava Conservatory for Church Music in the subject of singing with Barbara Habustové. She continues with this subject at the Faculty of Arts of the University of Ostrava under the tutelage of Zlatica Berkyová. She regularly participates in courses on the interpretation of early vocal music (Evelyn Tubb, Joel Frederiksen). At the Bohuslav Martinů Singing Competition in 2008, she received a special award for interpretations of the 20th century, and two years later, she was awarded the 3rd place in the International Singing Competition Janáček Hukvaldy. She has worked in the opera and ballet corps of the Silesian Theatre in Opava. In 2011, as part of a concert series in Munich, she worked with Ensemble Phoenix Munich under the direction of Joel Frederiksen. She teaches at the Folklore Conservatory and Music School in Ostrava and at the Music School for Sacred Music in Frydek-Mistek. 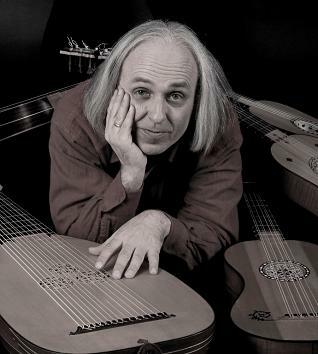 Karel Fleischlinger studied guitar with Stanislav Juřica at Pardubice Conservatory and graduated from the University of Music Franz Liszt in Weimar (Germany) under the direction of Prof. Roland Zimmer. In 1986 he won the first prize and the title of laureate in the category below 35 years in the international competition in Kutná Hora. In the same year he also achieved the first place in the competition of contemporary Czech music. In addition to many concerts at home and abroad, he has created a number of radio recordings. Since 1991 he gives concerts with the Lenz-Trio chamber ensemble composed of flute (Susanne Oehler), cello (Torsten Oehler) and guitar. He also plays in the PF Guitar Quartet, in the Romantic Guitar Duo with Jan Tuláček, performs with Brno Contemporary Orchestra and a number of other artists and ensembles. His discography includes 4 solo CDs, one CD with Lenz-Trio and one DVD/CD with PF Guitar Quartet. Two recent solo CD is devoted to early music and period instruments. He teaches at the Music School Blansko and at P. J. Vejvanovský Conservatory in Kroměříž.